Network Marketing Sponsoring Tips - Questions Are The Answer! You are here: Home / MLM Prospecting / Network Marketing Sponsoring Tips – Questions Are The Answer! In this post on network marketing sponsoring tips, we are going to show you some simple strategies for sponsoring or recruiting people into your network marketing business. When we first got started in network marketing it took us a while to find this information that we are about to share with you here in this post. Having now read a lot of personal development books and met many top earners in the network marketing industry, we now know that these strategies below have always worked well for anyone who is disciplined enough to learn them, apply them and master them. These network marketing sponsoring tips can be applied by anyone in any network marketing business. It is no secret that sponsoring in network marketing is the one aspect of network marketing that many people struggle with. However, it is the most important of all skills to master because ultimately it will dictate what level of success you have in your business. Network Marketing Sponsoring Tips – Take A Look At Yourself First! You have to learn to get comfortable with speaking to people on the phone! Yes – it can feel strange at first, but you soon get used to it and then start to actually enjoy it! 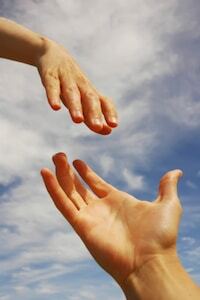 One of the best ways to be truly happy in life is to help and empower other people. One of the massive benefits of network marketing is in its simplicity. Ironically however, it is this simplicity that people almost cannot believe, so people try to complicate it! Remember – Network Marketing is the art and science of communicating with, building relationships with and empowering people based on their needs, not yours! You are failing to focus on the needs, wants, desires or problems of your prospects. If you are focusing on the company product or yourself during your conversation with the prospect – that is not how to sponsor! You need to understand your prospects needs, wants, desires and problems first. Questions are the answers! Questions are the single best way to get to know your prospect, build rapport and find out their needs, wants, desires and problems. The most common mistake that most people make is they talk too much to their prospect. We need to ask the right questions and listen more! Ask prospect – “just curious – why would you be open to making some extra money right now?” Let them tell you their reasons why. They will now be giving you the ammunition that you need so that you can sponsor them! They are making it easy for you to offer them the solution! Dig further to identify their NEED! If they say money – keep digging for a more meaningful need – money alone is not a powerful enough need. Once you have dug deeper and identified their need, repeat back their needs to them to summarise your understanding of them. Ask prospect – “so – what has recently changed in your life that now has you open to a home based business?” Wait for their answer and repeat what they say back to them to summarise your understanding. If they were involved in a home business that did not work out, ask prospect – “Why do you think it did not work out?” (find this out so that you can prevent it from happening again). Now bring the prospect back to their PAIN/NEED. Ask prospect “were they serious about __________(whatever their need was).” They have to say yes – they cannot possibly say no! Say to prospect – “IF you are serious and I could show you a way to __________(overcome/solve their need or problem), would you be open?” No-one wants to not be open and the prospect already told you they were serious! Tell the prospect that you are busy but you will send them some information (e-mail, webinar, video etc). Agree a follow up date and time with them (e.g. tomorrow at 8pm) and stick to it. You can answer any questions they have then, and sponsor them. DON’T ASSUME THAT YOU KNOW THE PROSPECTS NEEDS, WANTS, DESIRES AND PROBLEMS! Remember – the conversation is almost all about them, not you, so don’t talk about you – talk about them! Ultimately, to have success in network marketing you are going to need to talk and communicate with other human beings both offline and online. The more comfortable you are at asking people questions, the better you are going to be at sponsoring. Asking questions is the best way to allow the conversation to flow with the prospect and it gets them to open up to you as to why they are ‘looking’ for something else in their lives right now. SPONSORING AND RECRUITING IS SIMPLY GIVING PEOPLE WHAT THEY WANT! If you genuinely want to help people, you are going to need to sponsor them in order to help them! YOU MUST THINK LIKE A LEADER! Plug new recruits into a simple system – every business has one – simply ask your upline if they have a simple getting started system in place for the new person. You solve the prospects problems and help them attain their desires. You repeat their past pain and future desires and tie them to joining your business with you. Ask them how serious they are. Send them some information. Follow up as soon as possible. Answer their questions, then sign them up and get them started. So – by asking your prospect the right type of questions as mentioned above, you will be able to put their pain and their frustration in the past for them and you will then be able to talk about looking towards helping them build a better future for themselves and their family. If you can combine solving their pain while also attaining towards their desire – then that is the most powerful recruiting formula and people will literally be falling over themselves to join you. IF YOU TRULY WANT TO HELP PEOPLE – YOU HAVE TO SPONSOR PEOPLE! BY HELPING MORE PEOPLE GET WHAT THEY WANT – YOU WILL GET WHAT YOU WANT. We hope you have enjoyed this post on network marketing sponsoring tips and would be grateful if you could like, comment and share so that it will help others. If you want to know how we personally generate a steady stream of leads everyday for our business on auto-pilot, then click here to take a look at the success system that we use. If you would also like to find out some more network marketing sponsoring tips, then simply click the image below to watch a totally FREE webinar by one of the industry’s top earners, Ray Higdon.